BetUS Partners announce they are closing their affiliate program effective immediately. Their email newsletter today confirms the news and also mentions their partner website will go offline with no more reporting available. BetUS was once considered a big player in the online sportsbetting business that focused on US players. 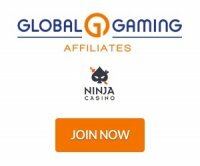 In a series of events in the past few months, the affiliate program BetUS Partners has removed the reporting features to affiliates, has stopped accepting American players and today has announced that they are closing the affiliate program completely. In the newsletter from Erin Argue and Kat Chaves, it states that players previously referred will still generate commissions but none of this information will be visible to affiliates. Since the BetUS Partners site will be taken offline, marketing materials and reporting will no longer be available. Please don't hesitate to contact us directly should you need to update your profile or payment instructions. "Since the BetUS Partners site will be taken offline, marketing materials and reporting will no longer be available. Please don't hesitate to contact us directly should you need to update your profile or payment instructions." If you have promoted BetUS in the past you might want to ensure that you are no longer sending them traffic as you will not get any credit or commissions from these players. It is highly recommended that you update your links and banners and replace BetUS with another online sportsbook. You can review our directory of sportsbook affiliate programs below.